Photograph by Luca Girardini, CC BY-SA 4.0. Ben Bogart is a Vancouver-based interdisciplinary artist working with generative computational processes (including physical modelling, chaos, feedback systems, evolutionary computation, computer vision, and machine learning) and has been inspired by knowledge in the natural sciences (quantum physics and cognitive neuroscience) in the service of an epistemological enquiry. Bogart has produced processes, artifacts, texts, images, and performances that have been presented at galleries, art festivals, and academic conferences in Canada, the United States, the United Arab Emirates, Australia, Turkey, Finland, Germany, Ireland, Brazil, Hong Kong, Norway, and Spain. 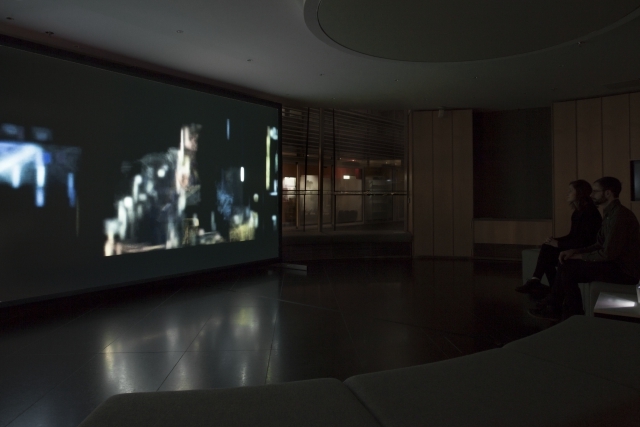 He has been an artist in residence at the Banff Centre, Canada; the New Forms Festival, Canada; and Videotage, Hong Kong. His research and practice have been funded by the Social Science and Humanities Research Council of Canada and the Canada Council for the Arts. He holds a master’s and a doctorate degree from the School of Interactive Arts and Technology at Simon Fraser University. His current work involves exploiting machine learning methods in the appropriation and reconstruction of popular cinematic depictions of artificial intelligence.